Above there is the definite impression that a change or transformation came over children at a point early in their lives. The difference was so pronounced that the term "substituted" is actually applied. After the induction, post hypnotically, conditions are perceived by the child that match those described earlier in a trance. The instruction controlling behavioral changes is conditionally implemented as an unconscious pre-made packaged pattern that dominates the conscious state. The compulsive induction of children occurs optimally between age 3 at the earliest to the age six as the latest. The "age of reason" is a point in mental development that is recognized that coincides with the formation of barriers between the conscious and unconscious mind. The education of the unconscious, animal mind to perform transition to the state labeled "somnambulism" does not readily occur after age six. 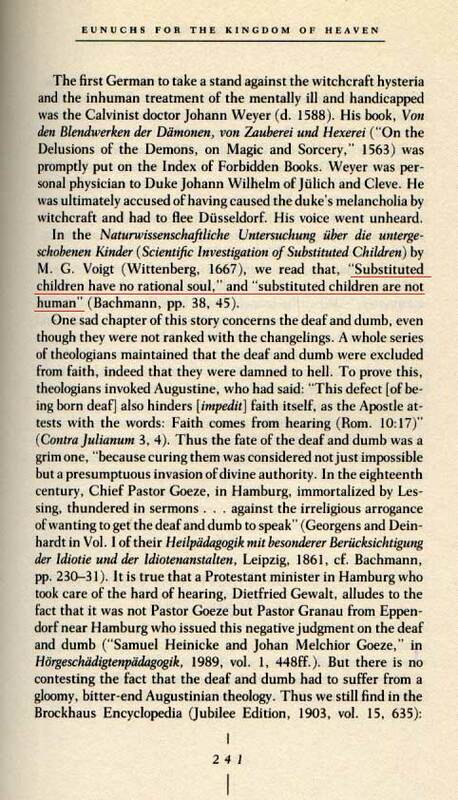 "Substituted children have no rational soul" This phrase indicates that the impulsive conflict between the unconscious Pagan factions and religion was imparted to the children by the faction that had contacted them and that the childs animal instinct was compelled to (demons) demonstrations towards members of the Church who interviewed them or attempted to understand what or why they were behaving so wild. The childs human ability to cognit and rationalize was disabled by inflammation of the unconscious information directed by compulsions of fear in the child as a matter of practice. This step is necessary for effective memory control or enhanced processes of dissociation. The inability by clergy to understand reinforced fears of the unconscious resulting in total denial of the existence of the unconscious programs, natural or otherwise, to the perceptions of those in the Pagan factions, increased their relative power in the society as the compulsions to fear were visibly yielded to by the spiritual leaders of the Church. 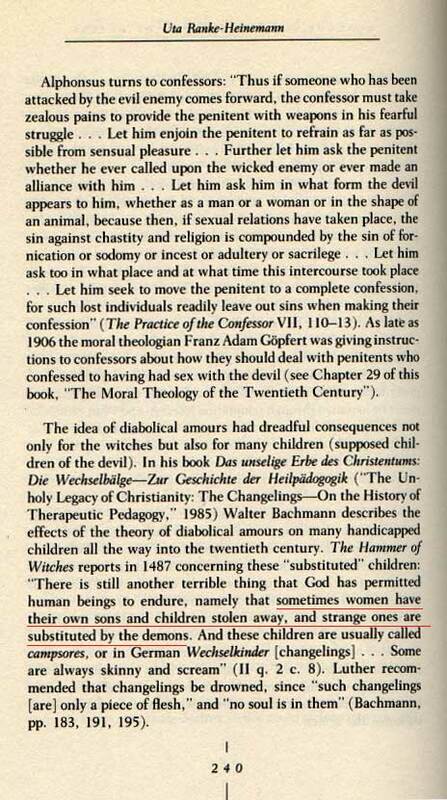 On page 234 there is mention of official order by authority ending secret marriages and the "yielding" confirming the spiritual potential of the Pagan faction. Our society today has the same problem developed to ridiculous proportions as behaviors of the millennium change overtake our news media with what is a mass insanity. After the first millennia created behaviors that caused a backlash of deeper denial and fear, the Religious factions have become entrenched in the seats of societal power and will allow no media assertion of the Pagan effort to establish its unconscious existence.